Our latest trip was to Watts Bar Lake in east Tennessee. 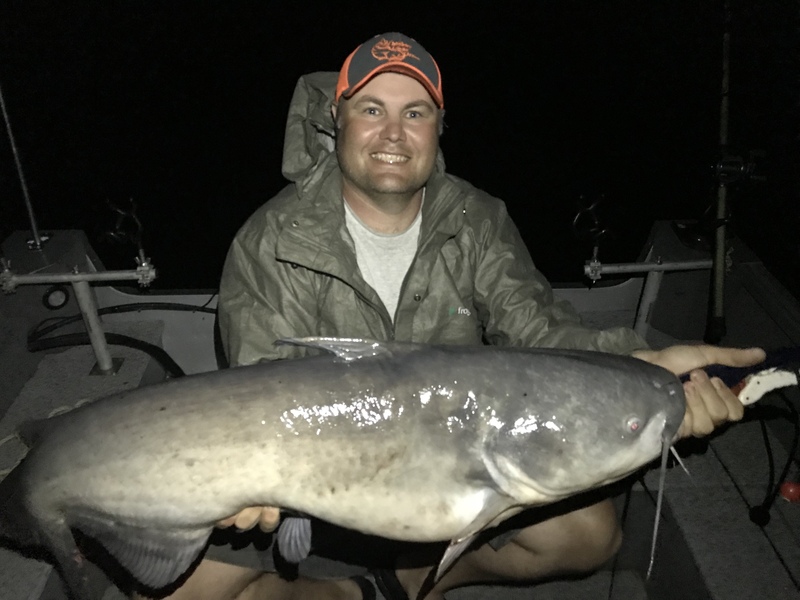 The plan was to fish for big Blue cats, but the spawn was on which created an almost non-existent bite for big fish. We didn’t give up and managed to catch one big catfish that was 48″ and a lot of fish in the teens. It was a tough bite but we made the best of it and found some big fish. The Striper fishing was a lot of fun! Jason and I both caught our personal bests. We got broke off three times and lost a couple more. After feeling the power of these fish, I will definitely split up the time on my next trip between Catfish and Stripers.